With the development of electric electron technology and controlling technology, controller for driving permanent magnet synchronous motors is used widely. The using of a controller can expand the motor speed range and improve motor runtime performances. However, the output current of a controller contains lots of time harmonics that will have bad influences on motor torque and losses. In order to analyze the influences of the time harmonics on the motor performances, different time harmonic currents were injected into the motor armature. Taking a 750 W, 250 r/min permanent magnet synchronous motor with hybrid magnet poles (HPPMSM) as an example, the 2-D finite model was established. On this basis, the torque ripple and eddy current losses of permanent magnets with different time harmonics were obtained. 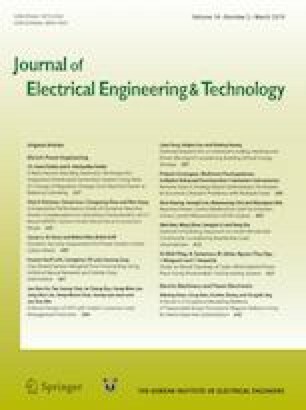 The influences of time harmonics on motor torque ripple and eddy current losses were determined, and the impacting mechanism was revealed. The analyses may be helpful for the optimal design of HPPMSM.